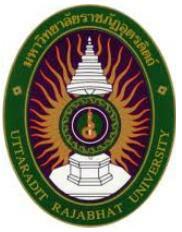 Uttaradit Rajabhat University is the only public university located in the East. Founded on August 1, 2479 in the name of “school diplomas. Uttaradit “In the past, the Institute of Teacher Education is located in the north. Covering an area of ​​Phetchabun province, Phrae, Nan, Chiang Rai, Lampang, and later received permission to change his name and position, respectively, as is well known in the title. Teacher’s College East. As the Government moves early in the year 2547 has been upgraded into a university. I am Gede Sedana (Dean of Faculty of agriculture, Dwijendra University, Denpasar Bali Indonesia) interested in the programs offered in the Faculty of industrial Agriculture, Uttaradit Rajabath Univ. Two years ago, the group of faculty officials visited our university. We have plan to visit this faculty few months later. Regarding this, please kindly to inform me the Dean of faculty and another contact person. Looking forward to hear information from you.